The PEGS Summit has celebrated record growth for ten consecutive years with over 2,600 industry professionals in attendance and is on track to set another new record this spring. 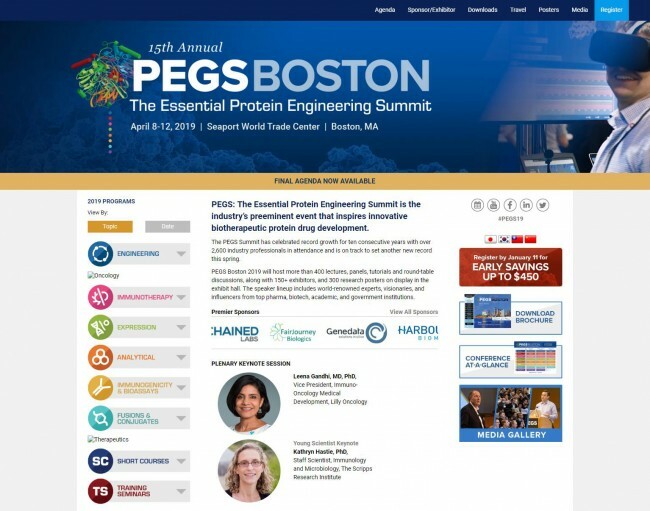 PEGS Boston 2019 will host more than 400 lectures, panels, tutorials and round-table discussions, along with 150+ exhibitors, and 300 research posters on display in the exhibit hall. The speaker lineup includes world-renowned experts, visionaries, and influencers from top pharma, biotech, academic, and government institutions.